We have over 25 years experience and are very well respected within the Building Industry. We are members of Master Plumbers Australia (#4868). We are an Australian business owned by two families and use Australian made products wherever possible. 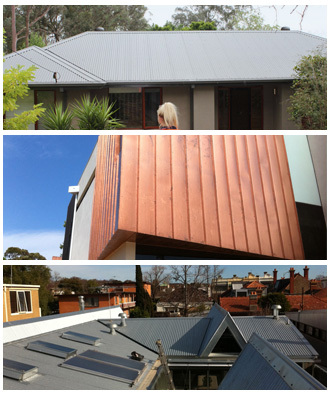 We only use Bluescope Steel products, with all new steel being manufactured with 30% recycled steel. Our business practices are always of the highest standard and we strive to provide exceptional workmanship in all aspects of Roof Plumbing, specialising in the installation of metal roofing, guttering, downpipes, metal wall cladding, skylights, insulation, leafguard, water tanks, pumps, rainwater harvesting and other energy and water saving products that can be installed on, in and around roofs.